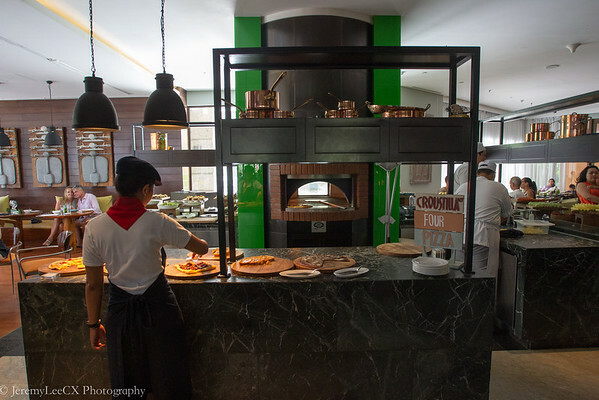 Cut Catch Cucina is located in Sofitel Bali Nusa Dua where I spent the remaining 2 nights of my bali trip. 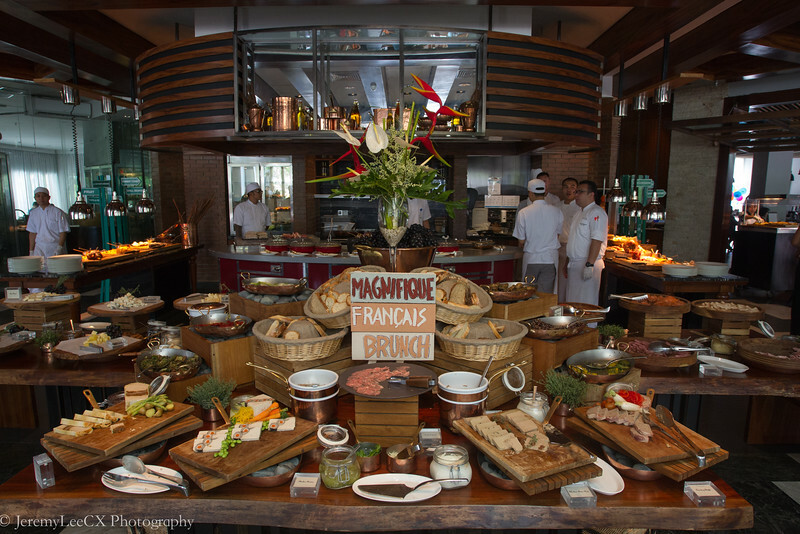 I booked the magnifique weekend brunch as a recommendation after reading the review from a fellow travel blogger, the shutterwhale by mark. 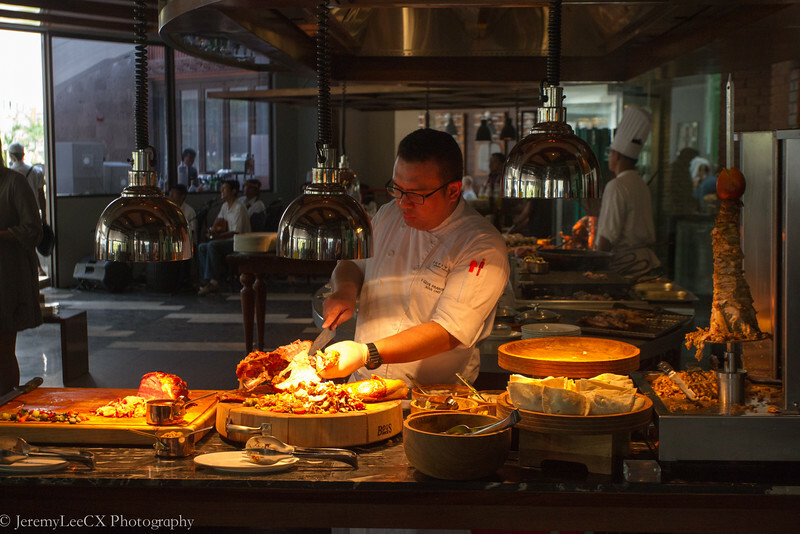 The weekend brunch with free flow non alcoholic drinks starts at IDR399k++ per pax and with alcohol(wine and beer) from IDR599k++ per pax. 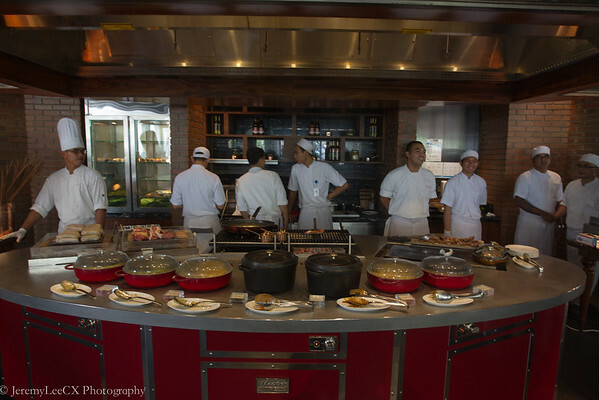 The buffet spread comes with an ala-carte menu and also a magnificent buffet spread which ranges from grilled seafood, bbq cuts, pizza and bread, asian selection, desserts and many more. 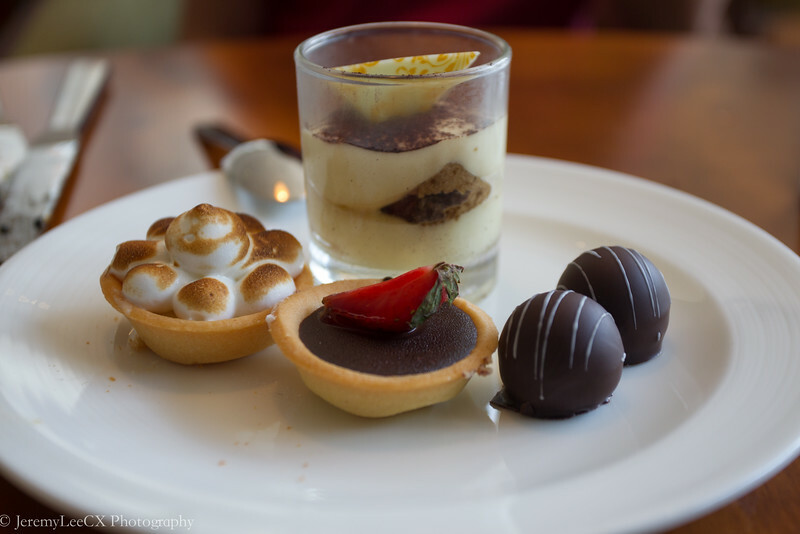 Before we started, we were offered an individual selection of mini bites. 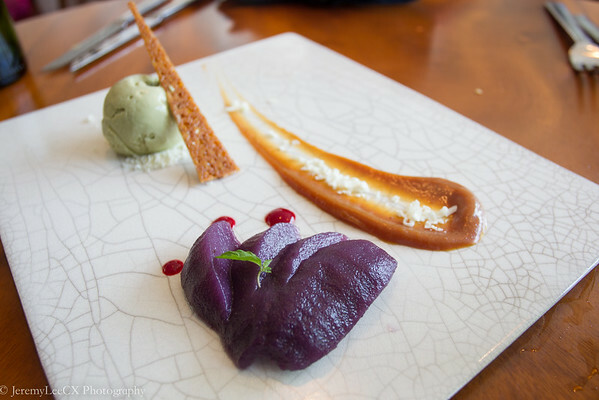 I cant make out the ingredients, but there were a mixture of citrus and savoury flavours. Great to kick start my brunch. 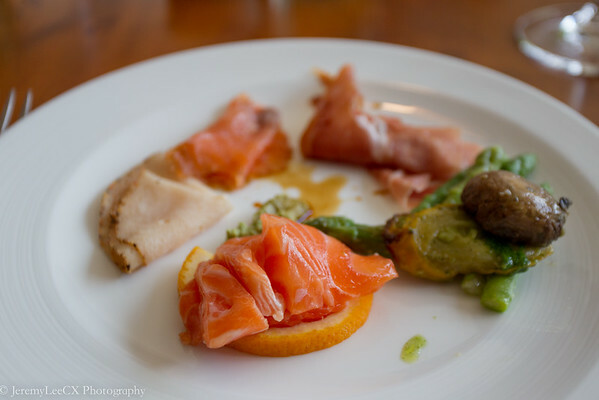 I went through the buffet spread and started with a selection of smoked salmon, salmon sashimi, cold cuts and grilled asparagus with eggplant, followed by my second selection of pulled pork with mash, german sour cabbage and pork knuckles. 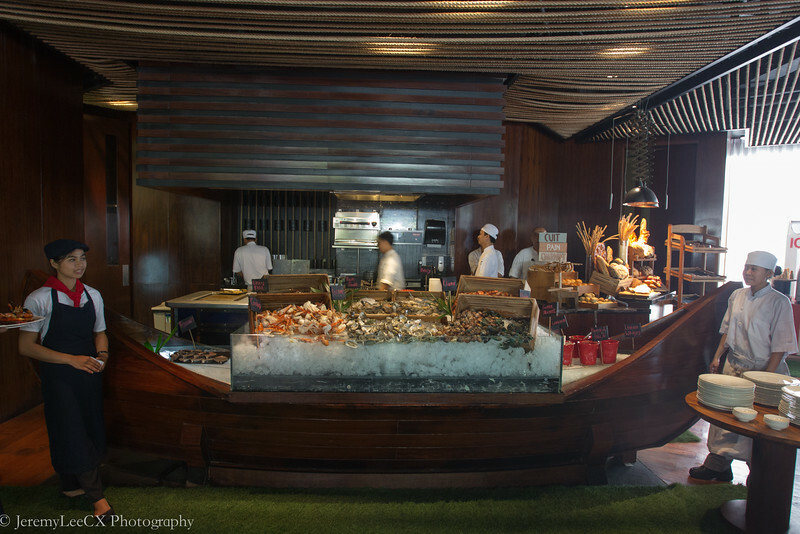 With such a variety of seafood, I could not resist and ordered a serving of grilled river prawns and oysters. 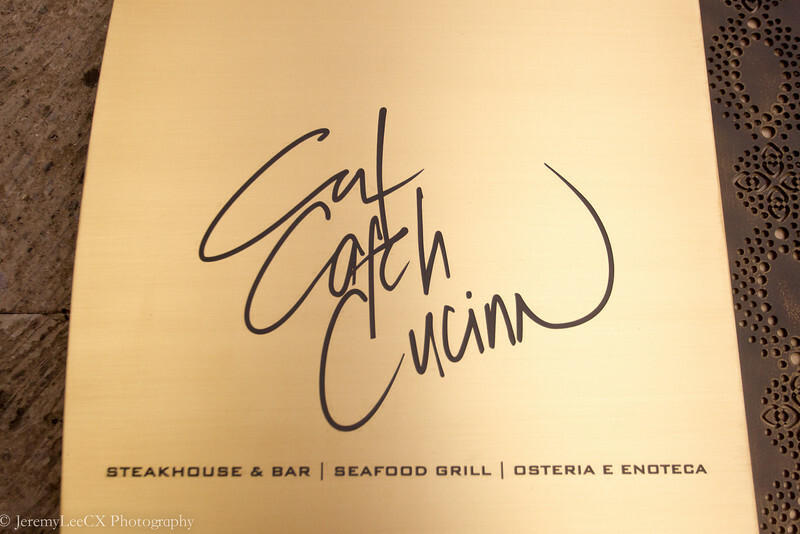 After being informed that it takes 10 minutes for the seafood to be ready, I went back to the buffet line for some mash, sour radish, garlic bread and chilli mussels. 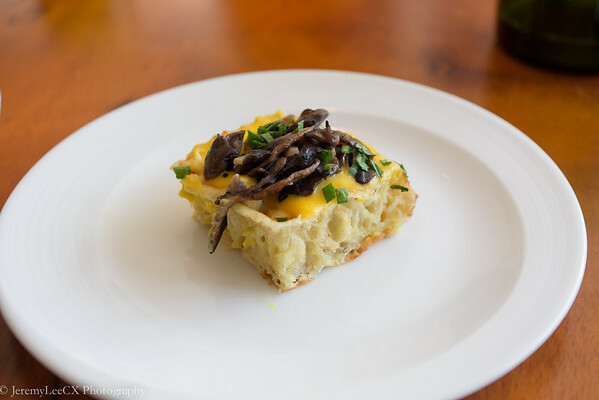 There are also servers going around offering some food, I took particular liking for the mushroom cheese waffle. 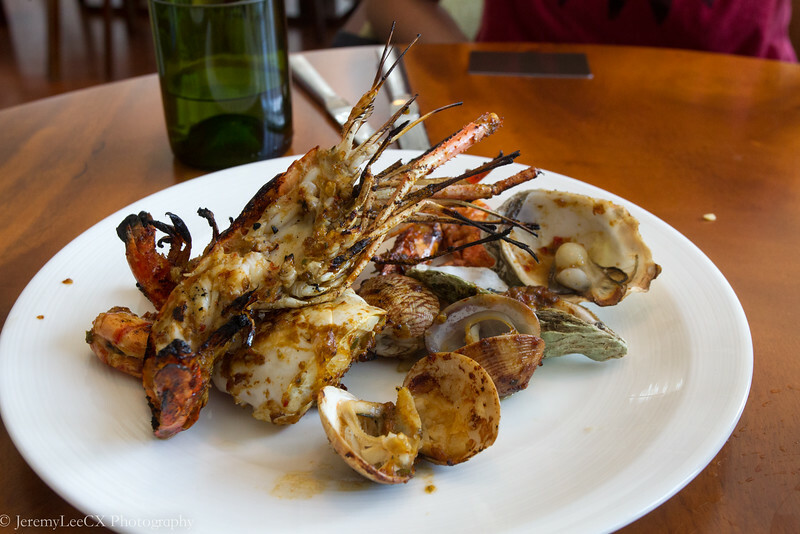 Atlas, the serving of grilled mixed seafood has arrived. We enjoyed the seafood but it was just not enough. we ordered another serving of grilled river prawns. 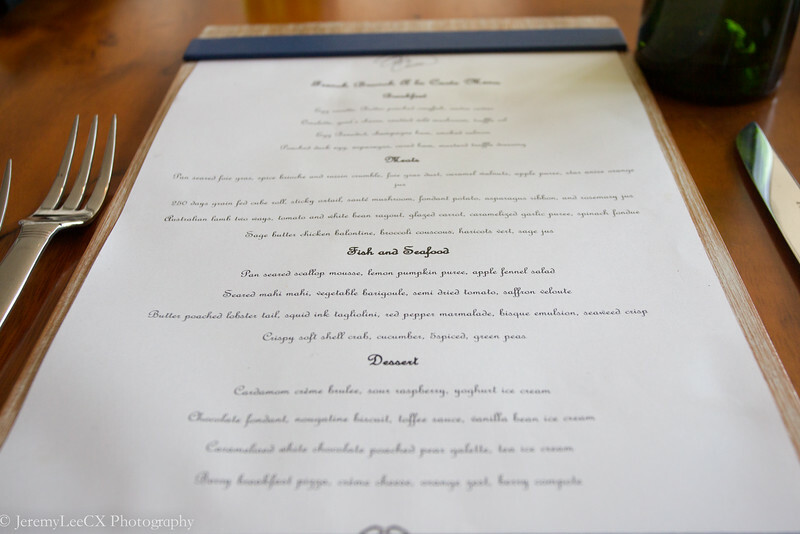 This round, we reverted to the ala-carte menu and started our ordering. 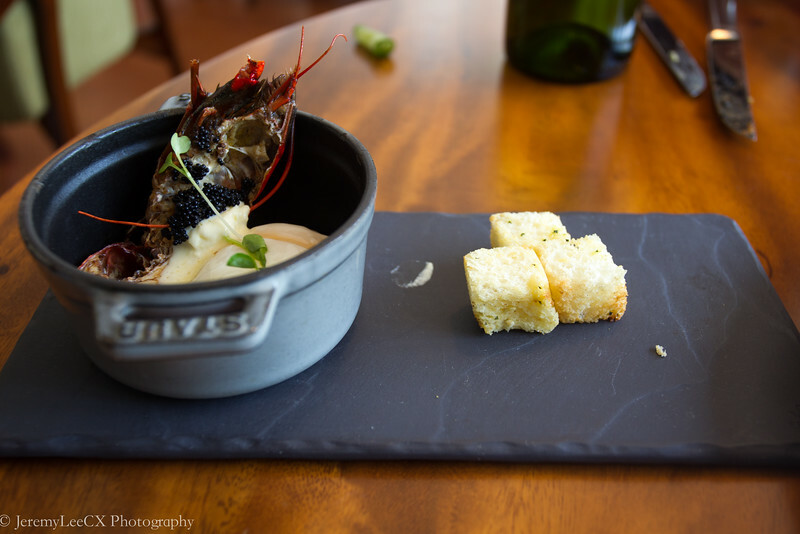 The first dish was grilled crayfish with generous serving of caviar on top of a well poached egg. 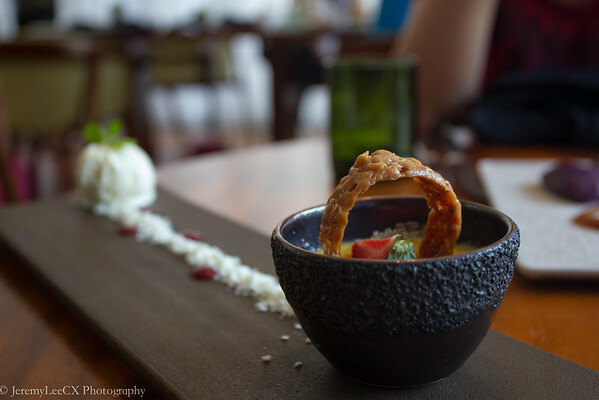 The dish itself is sinfully yummy. 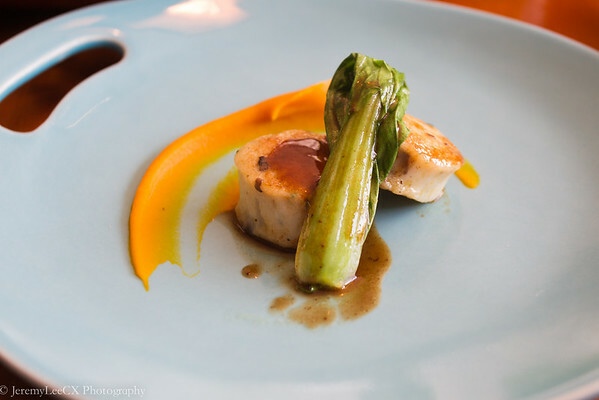 The orders followed by pan seared scallop mousse with lemon pumpkin puree and pan seared foie gras with apple puree and some other ingredients. 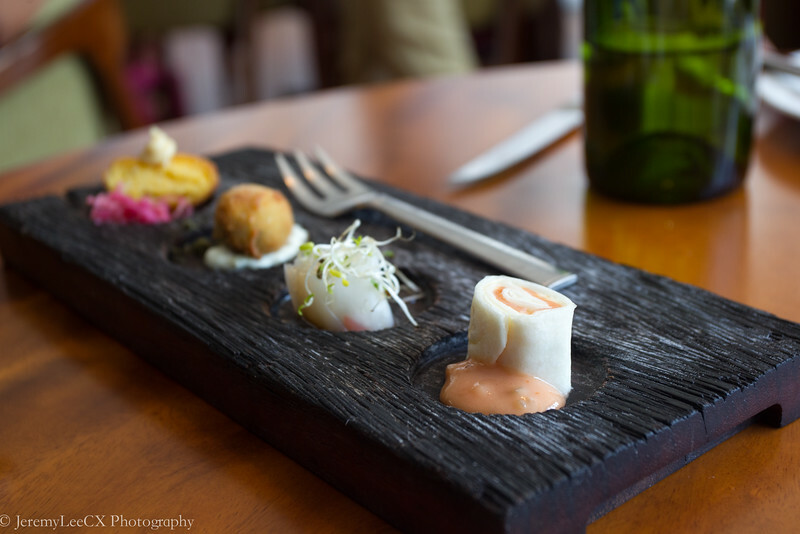 I enjoyed the scallop mousse, it was slightly sweet and yet savoury. 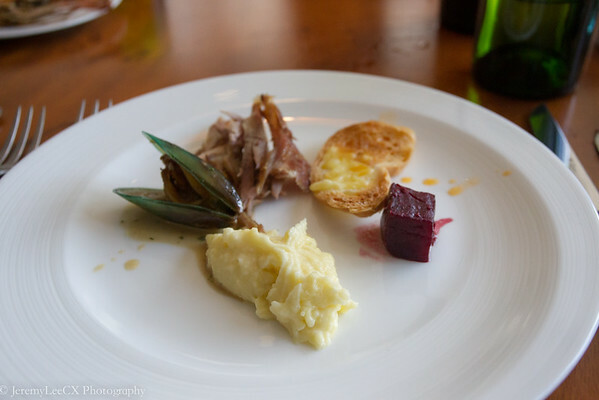 I'm not a fan of foie gras, still cant appreciate the gamey taste of goose liver. Wa Hah! 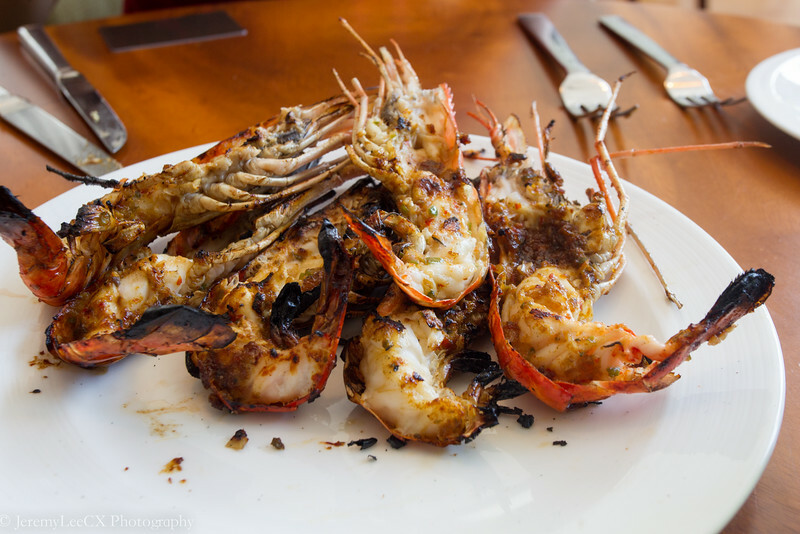 This second serving of grilled river prawns are as good as the first. 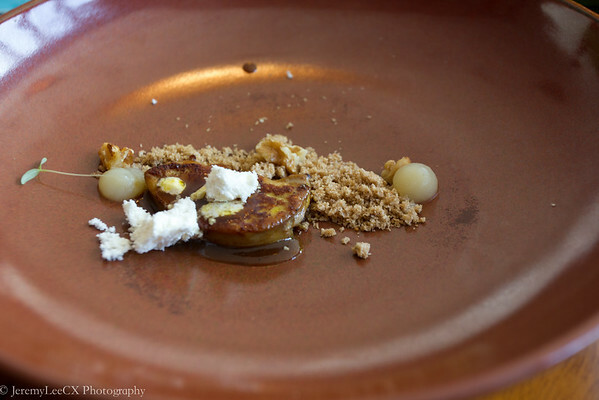 We wanted to go for a third serving but stopped after the arrival of the next 2 courses. 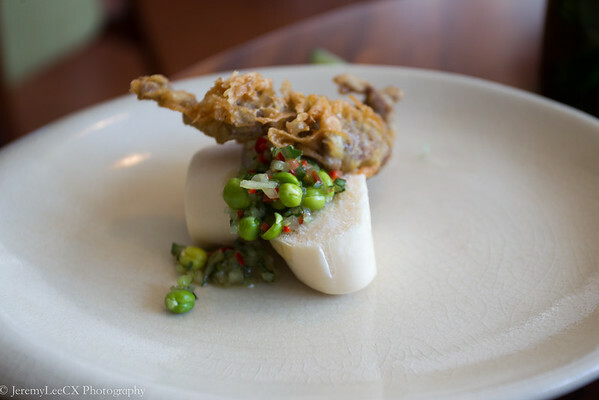 The first is a typical asian dish, deep fried soft shell crab with 5 spices, peas and served with a steamed mantou. I found the crab a tad little greasy but love the seasoning. 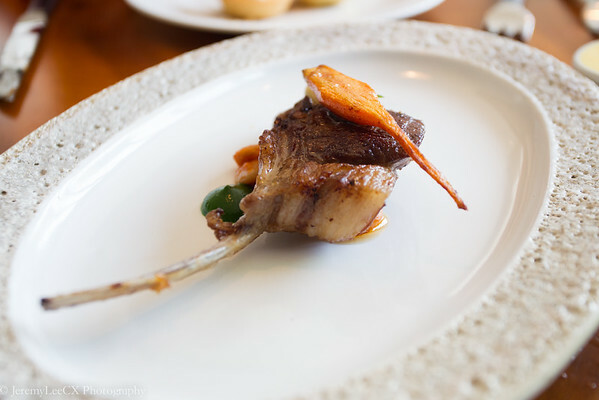 The second was a grilled australian lamb chop with tomato and white bean ragout topped with a grilled carrot. Totally love the lamb, it was flavourful, tender and a slight tinge of gaminess, I could feel Australia from here! 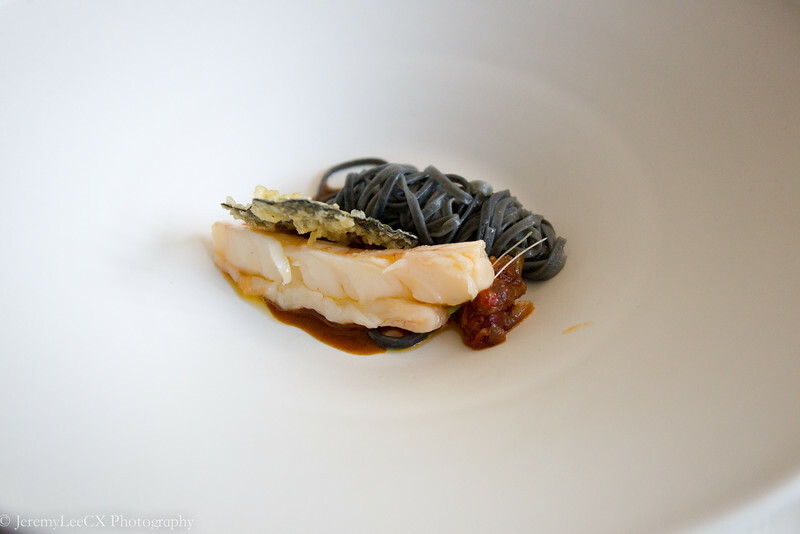 Lobster tail with squid ink tagliolini, seaweed cracker and bisque emulsion. The lobster tail had a bite to it and the tagliolini goes extremely well with the bisque emulsion. I was full of joy at this moment. 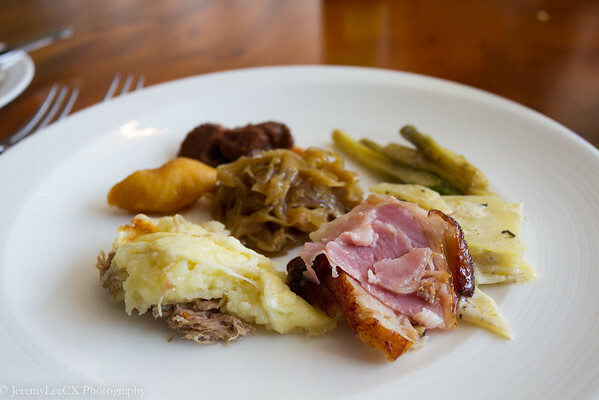 The star of the brunch, 250 days grain fed cube roll with saluted mushrooms, asparagus ribbon fondant potato and slices of oxtail. Truly beautiful and amazing, the beef melts in your mouth, the mushroom goes extremely well with the beef. 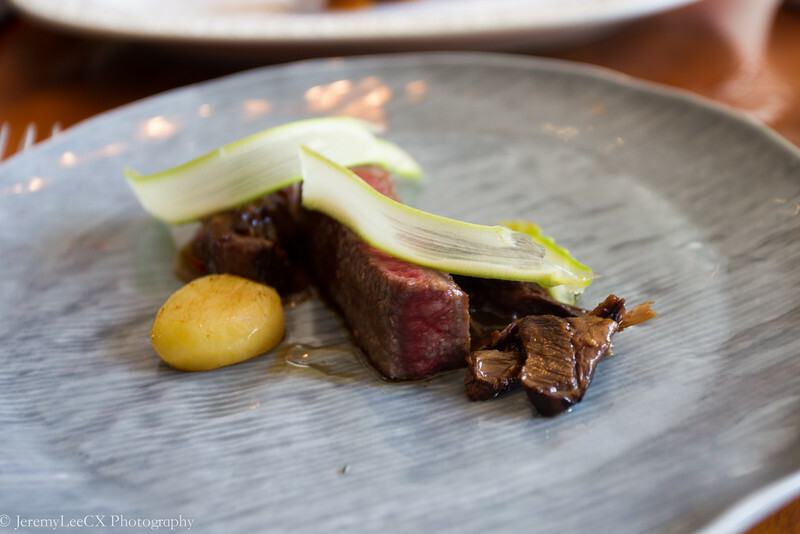 Only tinge of sadness that the beef lacked a slight smokiness/charred taste or it would have been perfect. 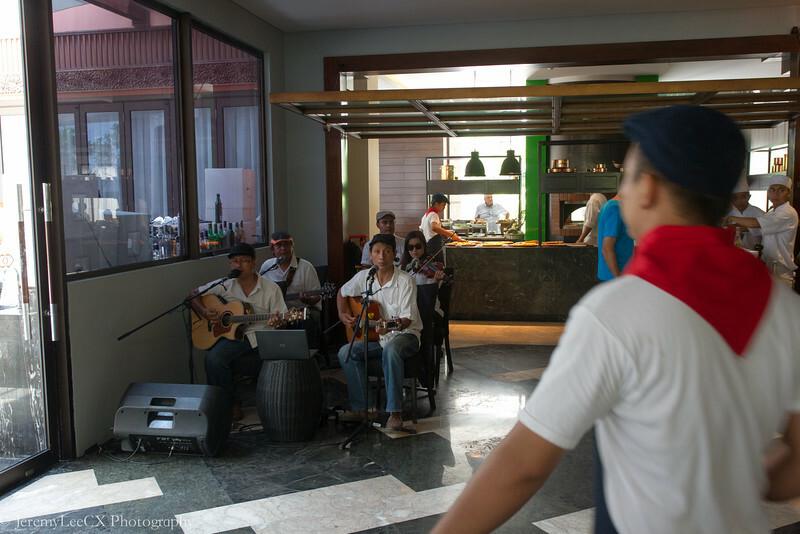 Throughout the brunch, we were well entertained by the live band singing a great range of music, from classic songs to new hits.